Poconos, Stroudsburg, Northeast Pa., Monroe County, East Stroudsburg. L. MARKI & SON, INC.
LET US DO YOUR HEAVY WORK, WE ARE THREE GENERATIONS STRONG. 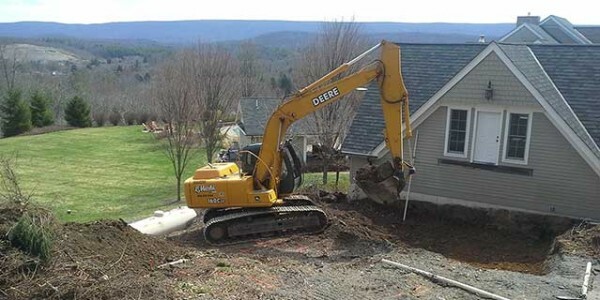 50 years ago, Lewis Marki founded a small residential excavating business to service Monroe County. 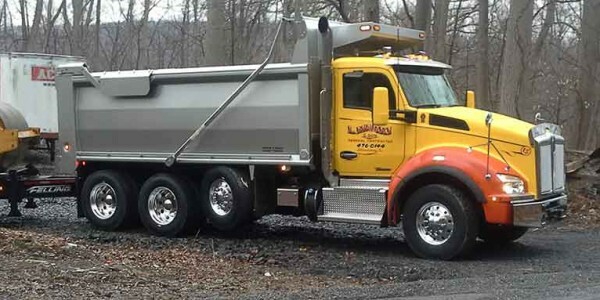 Pride in the company’s excellent workmanship standards and a commitment to outstanding personal service allowed L. Marki & Son, Inc. to expand both its services and the geographic area it served. In 1980, Lewis’s son, Bob joined the company, and today Bob is the President of L. Marki & Son. Keeping with family tradition, in 2002 Bob Marki, Jr. joined the company making the company a three generations strong, family run, local business. 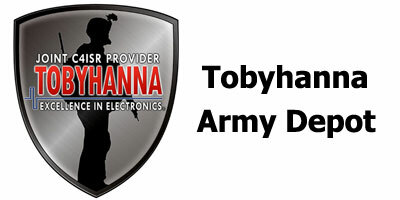 Today they continue to have a solid reputation for performing quality work and offering outstanding customer service whether fulfilling huge commercial contracts or undertaking small residential jobs. 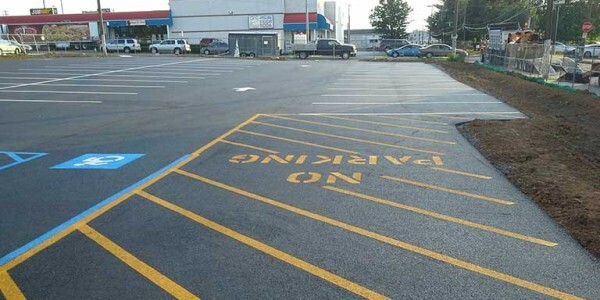 Although L. Marki & Son, Inc. is insured and bonded, safety is always a high priority. Our clients deal directly with one of our owners who are present on every job. Our exceptional knowledge, service and dependability offer you more for your money. No job is complete until our customers are satisfied. We stand behind our workmanship. products to complete your specific project. We don’t want your business just for today. Our goal is to develop a lasting relationship by sharing our experience and know-how, producing exceptional results, providing outstanding service all at very fair price. Once you have experienced the professionals at L. Marki & Son, we are confident you will remain one of our valued customers for many years to come. 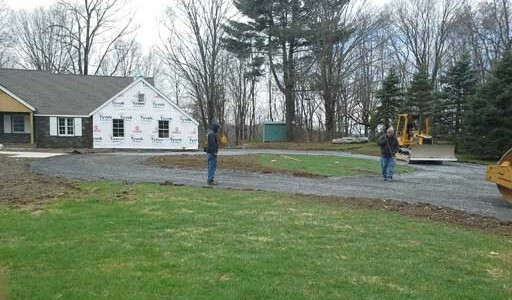 Excavation for addition, Hamilton Township, Stroudsburg, Pa. Retaining walls, Marshall Creek, Pa. 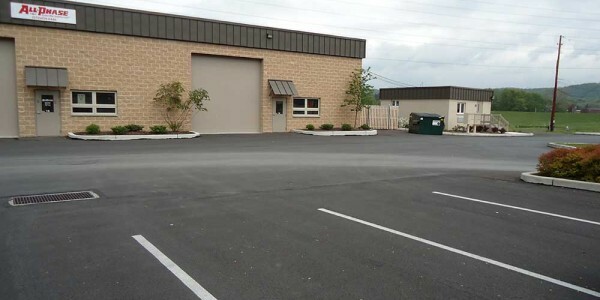 Parking lots: Sidewalks: Center for Independent Living, 13th Street, Allentown, Pa. Parking Lot Installation, Stroud Industrial Park, Stroudsburg, Pa.
Road Repair, Timber Hill Community, East Stroudsburg, Pa. 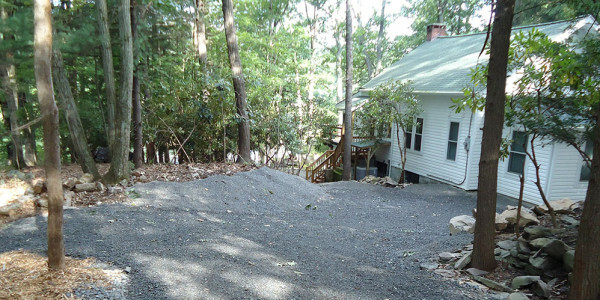 Retaining Wall, Cherry Valley, Pa.
Premere Marble, Pen Argyl, Pa.
Driveways, Walkways, Parking Lots, Roads -- We will design, excavate and lay down a brand new, properly fabricated surface, or rejuvenate an existing surface rematerializing its surface or repairing cracks and pot holes. The earliest users of concrete were the ancient Romans. 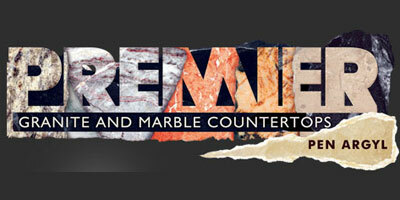 This strong, durable stone-like material has withstood the test of time. That is why L. Marki & Son chooses it when fabricating traditional sidewalks and curbing; structural columns, foundations, flooring and more. 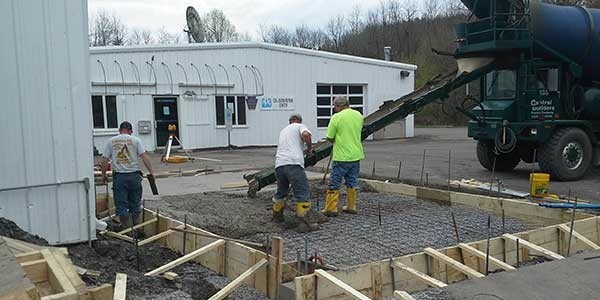 Concrete gives your project longevity and value. 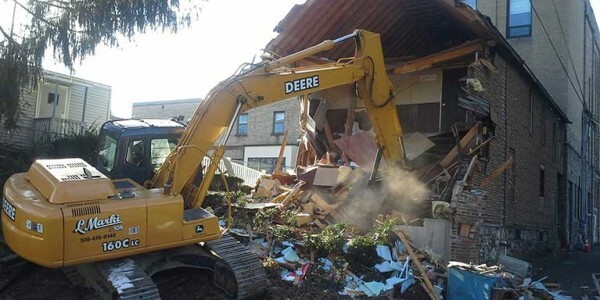 When demolition occurs, it is usually a sign of coming growth, expansion, or renewal. 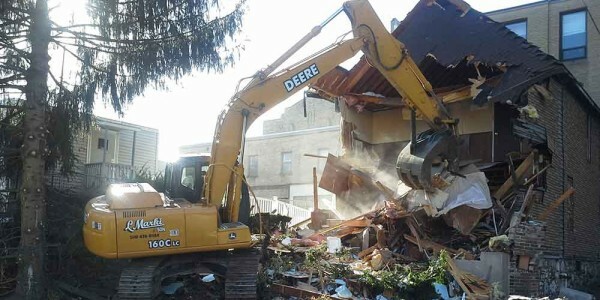 It may also be a way to eliminate an unstable, unsafe structure. 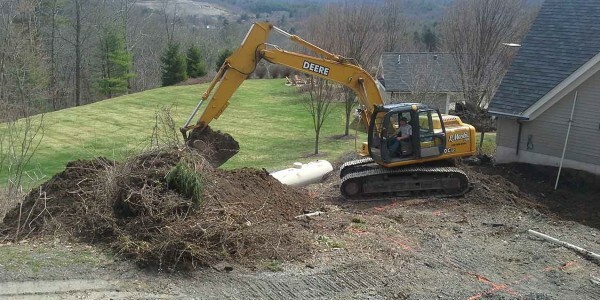 Site work, including earthwork, erosion control, and drainage is often part of a demolition project. 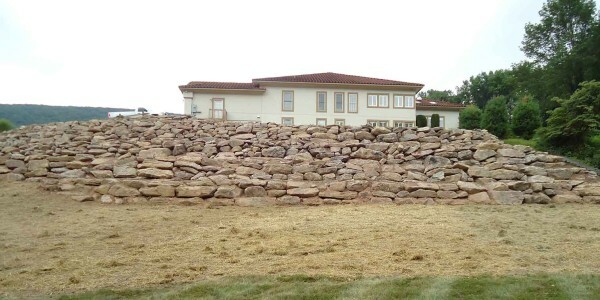 Retaining walls may look like simple stacked stone, but actually they are carefully engineered structures allowing for appropriate drainage and to fight a battle with gravity. Properly constructed walls add structural integrity to a challenging landscape and can enhance the beauty of your property. Some still have an old perception that modular homes are similar to mobile park trailers. Not true! Even though modular homes are sectional prefabricated houses consisting of multiple sections called modules, Apex homes are easily customized and offer unlimited options and upgrades. Apex works closely with the new homeowners and L. Marki and Son to achieve their dream home. We will safely and efficiently transport your materials to the job site. And, through our network of excellent, fair-priced suppliers, we are able to provide the product(s) you need and deliver them on time. Here in Northeastern Pennsylvania you don’t ask “if” we will have snow, we ask “when” we will have snow! Be prepared! 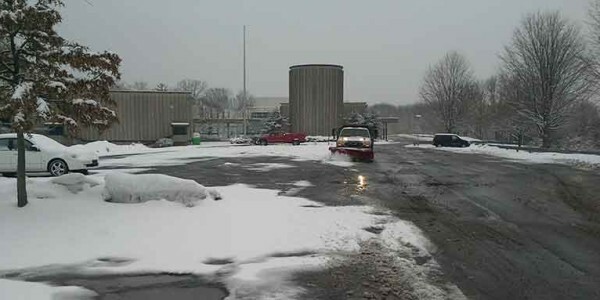 We can put you on our snow plowing schedule so when the snow falls, we will be there to take care of it for you. We have the equipment to do it. 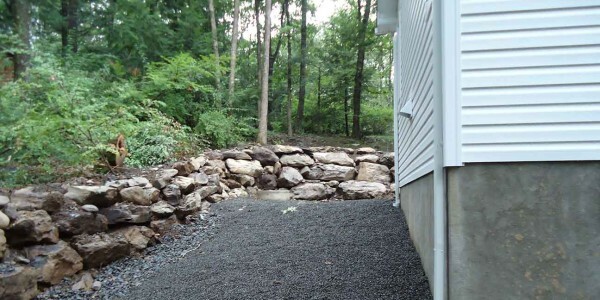 Thinking of Paving your Driveway? During my forty years in the construction industry, thirty of them as an owner of construction management/general contracting firms, my team and I have completed scores of industrial, institutional, commercial and multi-family residential projects. Over those years, we have had the pleasure of dealing with many quality trade contractors. Seldom do you find a firm with exceptional product delivery, commitment to excellence, reliability and trustworthiness deserving of a testimonial such as this. L. Marki & Son, Inc. has earned that respect from us at Nu Cor Management. Bob Marki, his son Bob and their crews exemplify “the old school business philosophy” in that they get the job done right, always on time and at a fair price. We have worked with the Markis many times on both large and small projects and look forward to many future projects together. I have been working with L. Marki & Son, Inc. for the past 15 years. 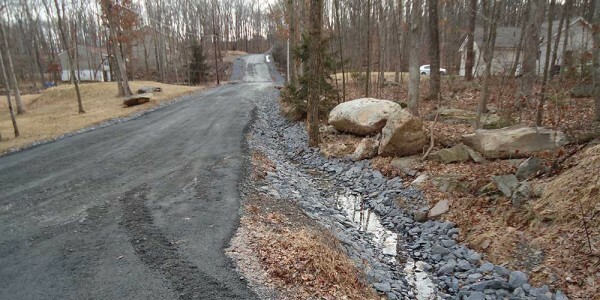 They have completed road paving, parking lot paving, and townhome community paving projects. 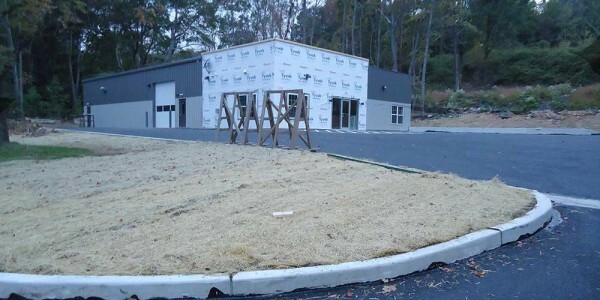 They have also completed water main construction and commercial site development for us. Bob and his men have a “can do” attitude which produces a competitively priced, quality product, safely and on time. I would highly recommend L. Marki & Son for any project of any size. Now serving the counties of: Carbon, Lehigh, Luzerne, Monroe, North Hampton, Pike and Wayne, and the municipalities of Bartonsville, Blakeslee, Brodheadsville, East Stroudsburg, Mt. Pocono, Stroudsburg and Tannersville, as well as, parts of northwestern New Jersey. If you are not in these areas, don’t count us out. . . give us a call. No answer when you call? Then we are “on the job”. Leave a message. We will respond promptly.